What Does Code P0440 Mean? In spite of the fact that fuel is delivered in liquid form, the internal combustion engine runs, not on liquid fuel, but on fuel vapors. This works out rather conveniently, since liquid fuel is far more easily manageable, but easily vaporizes into usable form, even when it’s below zero. The tendency of fuel to vaporize, called volatility, makes for good engine starting, performance, and efficiency. At the same time, fuel volatility creates another problem, evaporative emissions. Fuel vapors are carcinogenic and environmentally destructive, which is why fuel storage, at the refueling station on in your vehicle, is designed to significantly reduce evaporative emissions. In your vehicle, the evaporative emissions control system, usually just referred to as the “EVAP” system, keeps fuel vapors from escaping into the atmosphere. Using a system of tubes and valves, the EVAP system routes fuel vapors from the fuel tank into an activated-charcoal canister for storage. 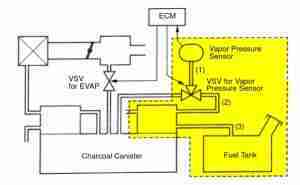 At certain times, when the engine is running, the EVAP system will route fuel vapors from the canister to the engine, where they are burned. The ECM (engine control module) controls the EVAP system valves, monitoring system function via pressure sensors. 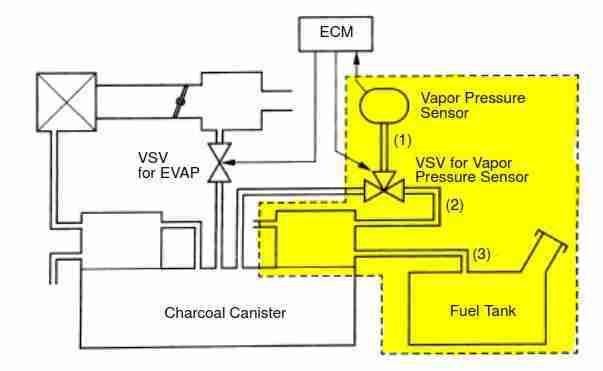 Many of the self-tests that the ECM performs on the EVAP system require that certain conditions be met first, such as sufficient battery voltage, specific fuel level, and specific atmospheric temperature. Aside from circuit tests, one of the first things that the ECM needs to verify is that the fuel tank and the rest of the system is sealed. 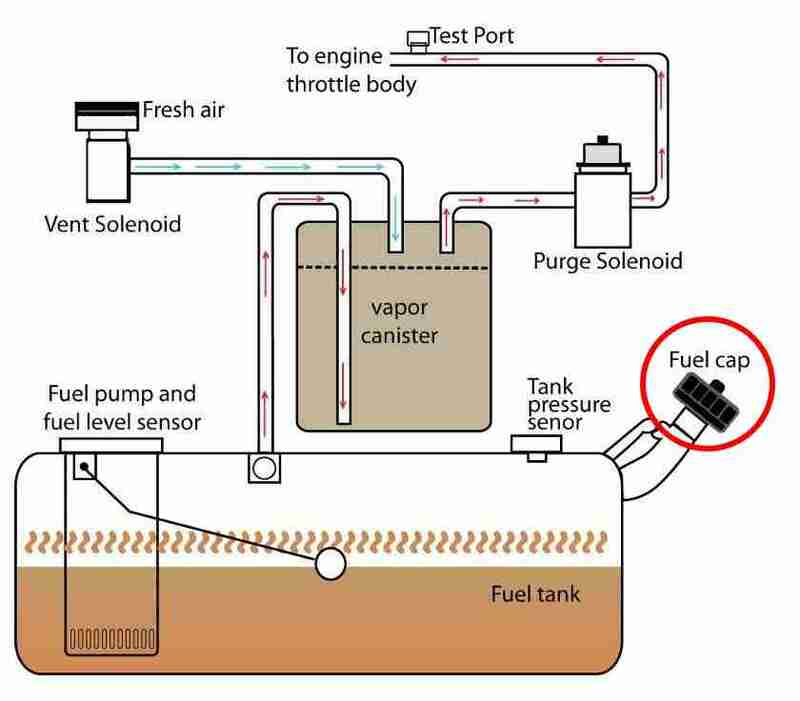 To run this test, the ECM draws a vacuum on the tank. If the ECM detects that the EVAP system is unable to produce or hold a vacuum in a certain amount of time, it records a diagnostic trouble code (DTC) in memory, P0440, “Evaporative Emissions (EVAP) Control System Malfunction,” and illuminates the MIL (malfunction indicator lamp). What are the common causes of code P0440 ? Depending on year, make, and model, DTC P0440 may have number of causes. Here are some of the most common. 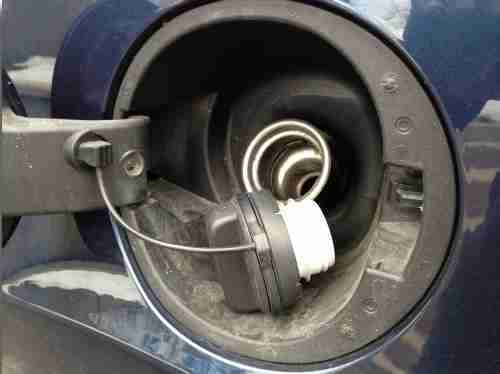 Gas Cap – This is, by far, the most common failure. Loose, missing, damaged, worn, or incorrect gas caps will not seal the system properly. 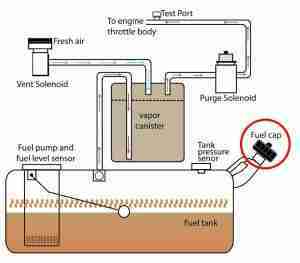 Also, never refuel with the engine idling, as the ECM may elect to run the EVAP monitor at that time. Keep in mind that, if you tighten the gas cap after the MIL comes on, it will take 40 drive cycles for the ECM to clear the code on its own, unless you clear it with a scan tool. Stuck Valve – If the canister close valve (CCV) or purge valve is stuck open, it will not seal the system. Depending on location, it can be contaminated or corroded, sticking open, even when not grounded by the ECM. Because of its exposed position, the charcoal canister and associated tubes, hoses, and valves, are prone to damage. Consistent “topping off the tank” has been known to saturate the charcoal canister with fuel, something which it was not designed for. Normally, the charcoal canister might weigh a couple of pounds, but a saturated canister might weigh up to 20 pounds. An internally-ruptured canister, while external damage may be non-existent, may have allowed charcoal pieces to make it through to the engine intake, perhaps even sticking in the purge valve. Disconnect the EVAP purge line and look inside. If you see charcoal dust or pellets, you may have a ruptured canister. Previous Repairs – If anything has been done on the vehicle, such as a tune-up, engine rebuild, timing belt, or EVAP system repairs, EVAP hoses or connectors may have been disconnected and reconnected. Make sure all electrical connectors, EVAP hoses, vacuum lines, and tubes are properly connected and sealed. Be wary of O-ring seals where plastic EVAP tubes connect to metal EVAP tubes. What are the symptoms of code P0440 ? Aside from the MIL, you will likely not notice any symptoms related to this EVAP system failure. Depending on the automaker’s failure mode, you may notice reduced fuel economy or engine performance. How do you troubleshoot code P0440 ? Because of the complexity of the EVAP system and the expense and availability of EVAP-specific diagnostic tools, you may be limited to a visual inspection of the system. Because of the nature of this DTC, you’re basically looking for anything that would prevent the system from sealing. Other DTCs – P0440 often appears with other EVAP-related DTCs, such as P0441, P0442, P0446, etc. If any other EVAP DTCs are present, diagnose and repair those first. After repairing any other faults in the system, you can then proceed to diagnosing DTC P0440. Charcoal Canister – Inspect the charcoal canister for damage. Because of its exposed position on some vehicles, it may be damaged by road debris or dirt. Replace as necessary. Tubes and Hoses – Similarly, make sure that all EVAP hoses and tubes appear intact and are connected properly. Cracked or disconnected hoses will not seal properly. Repair as necessary. Valves – If possible, use a 12 V power source to bench-test the purge valve and the canister close valve. With voltage applied, you should be able to easily blow air through the valve. With no voltage applied, no air should pass through the valve. If the valve is corroded, damaged, or contaminated, it may stick open and will not seal the EVAP system properly. Clean or replace as necessary. Fuel Tank – Check the fuel tank and fuel filler tube for damage. Repair or replace as necessary. Pressure Testing – If you have access to the proper equipment, you can pressure test the EVAP system. Many vehicles have an EVAP test port under the hood, which you can use to pressurize the system, measure system pressure, and look for leaks. Keep in mind, however, that EVAP pressure testing should never go over 2 psi, otherwise you may damage the system. This should be done with the key off. Disconnect or remove the purge valve. Air should not escape from the purge valve. Similarly, air should not escape from the canister close valve, which may be located under the hood or on or near the charcoal canister. Repair or replace as necessary. Prepare a spray bottle of soapy solution, 50:50 dish detergent and water. Spray down EVAP connections, hoses, canister, fuel tank, or any other suspected leak area. Bubbles will form if you find a leak. Repair as necessary. If you cannot find a problem, you may need to take it to a professional for more in-depth diagnosis. 2002 Cavalier sensors incomplete after 220+ miles -- need ready for insp. I have a 2002 Toyota Celica GTS six speed, the code is P0440 Evaporative Emission System. I don’t know what to do yet so if anybody has any suggestions let me know? Afternoon Albert. Apologies for the delay, but we’ve finally posted a troubleshooting article to help you out. 95% of the time, it’s a gas cap. Aftermarket (non-Toyota), old, worn-out, or broken gas caps can trigger this code because they don’t hold the seal properly. My first suggestion would be to buy a new Toyota gas cap and clear the code. Given the age of your vehicle, experience tells me that you could have a stuck canister close valve. It MIGHT be available separately, but it’s usually sold as part of the charcoal canister unit. It’s down by the gas tank under the car. I still have that check engine light because I haven’t done nothing yet, but now when my car starts it turns off 3 seconds later. This new problem just started a week ago so my question to you, do you think thats related to the check engine light? Have you scanned for codes again? An EVAP problem could cause a stalling problem, particularly if it’s a major EVAP leak or purge problem. 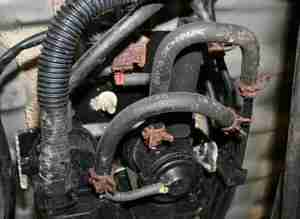 Try pinching off or plugging the purge line going into the engine and see if it starts and runs. If the engine starts and runs, it could have been the vacuum leak created by an open purge line (canister close valve fault or broken purge line). Good afternoon. I have a 2015 Grand Cherokee limited. I’m getting P0440 code. Where should I begin to fix this problem? I’ve been looking around for an answer, but nothing is obvious. There are no other codes associated with P0440? Also, We make sure we don’t refuel with the engine running, right? Has resuelto la fall en tu Cherokee?